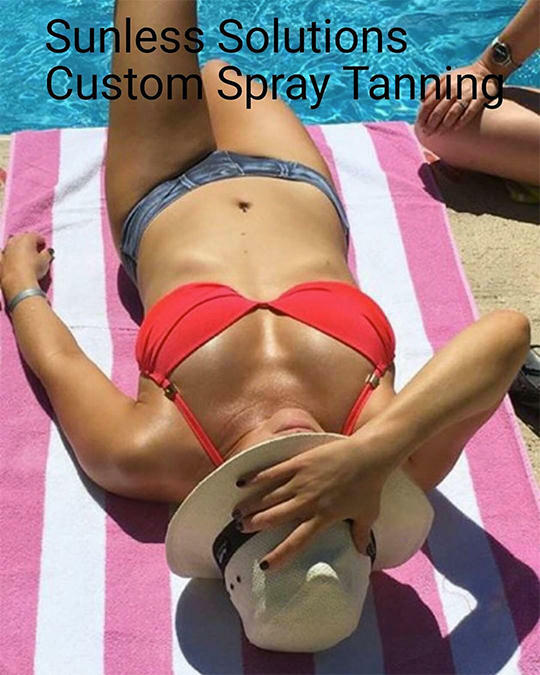 Custom spray tanning tailored to you! A flawless, natural-looking tan everytime! 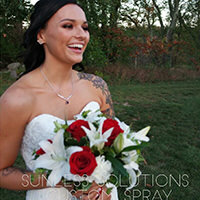 We are Southern New Hampshire's premier custom spray tanning studio dedicated solely to UV-Free sunless spray tanning. 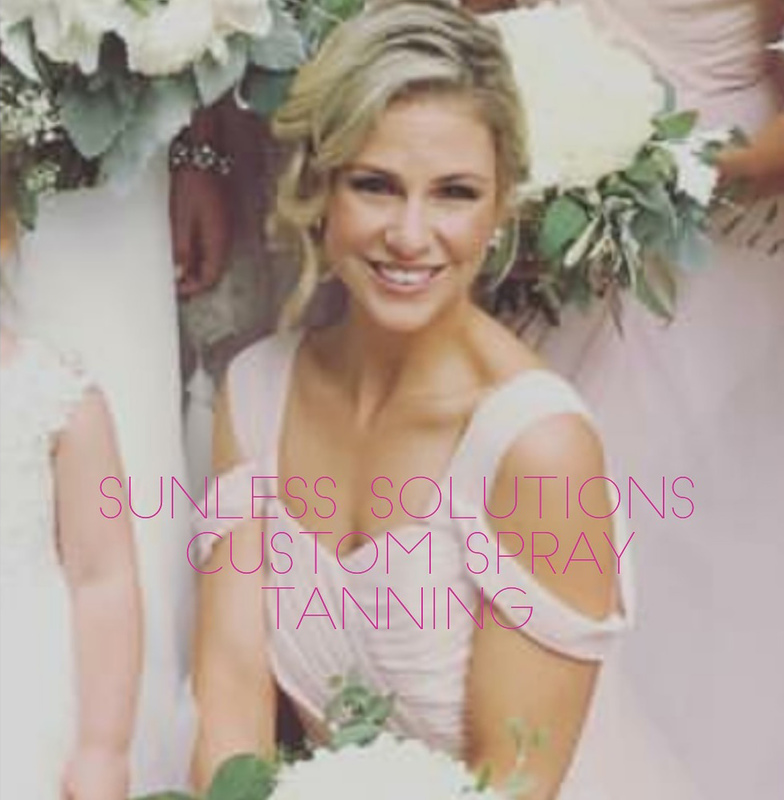 Sunless Solutions is committed to using state-of-the-art technology to provide you with a beautiful, natural looking tan. 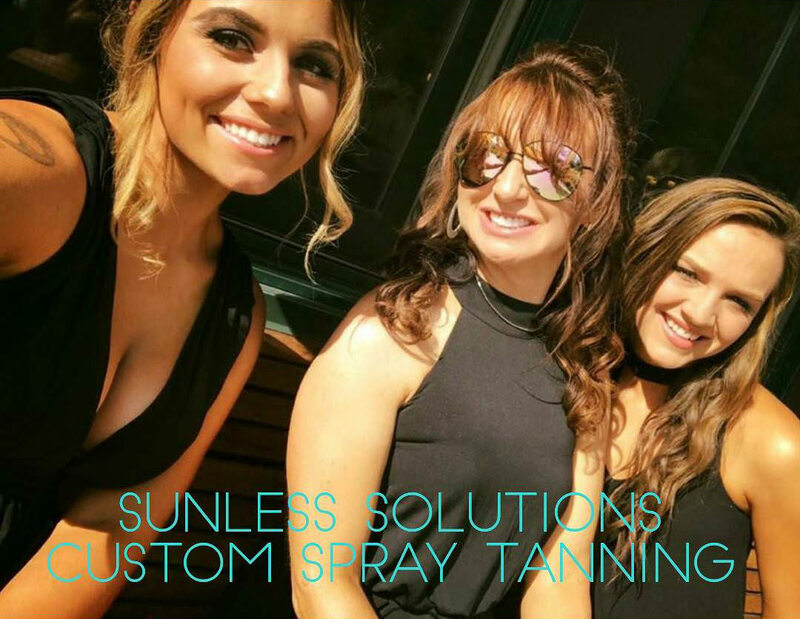 Sunless Solutions utilizes the highest quality spray tanning solutions with all natural, anti-aging, vitamin enriched ingredients. 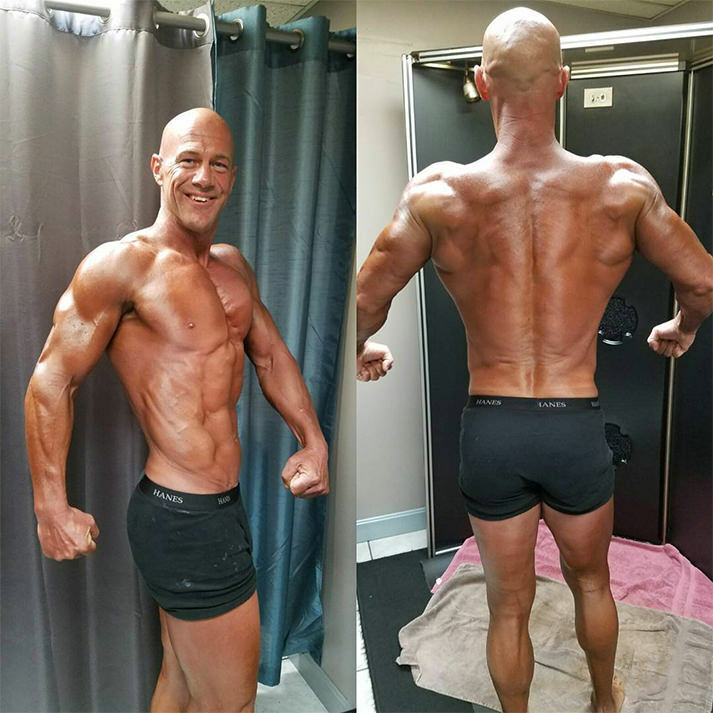 Our Master Spray Tanning Technicians continue to take the necessary steps to be up to date on the latest trends in spray tanning and continue our education on an ongoing basis. 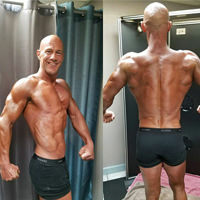 Whether you are doing a photo shoot, going to prom, walking a runway, ballroom dancing, competing in a fitness/bodybuilding competition, or just want that celebrity tan, Sunless Solutions has the experience for any occasion. 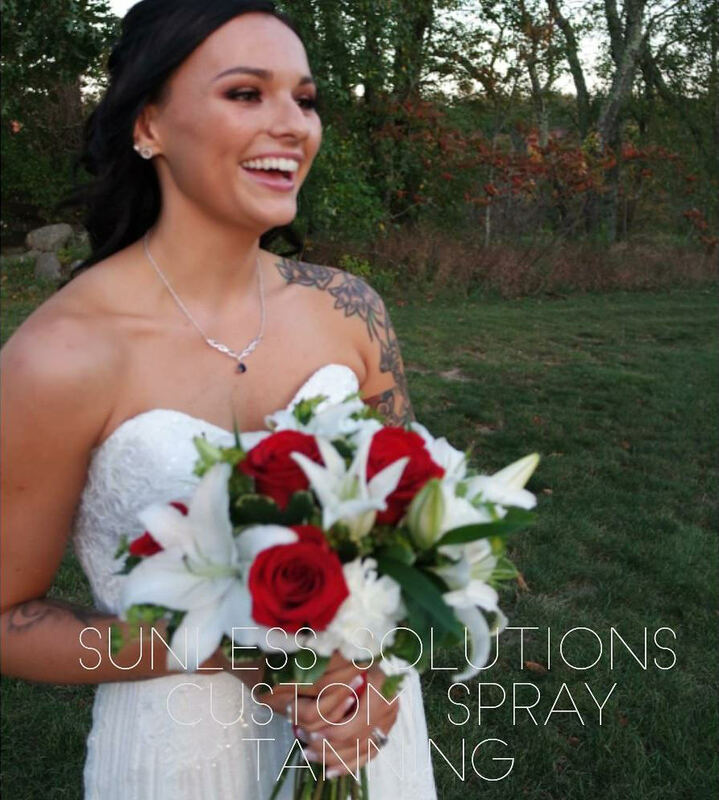 Sunless Solutions is pleased to provide THE BEST spray tan, sunless products and sun care to our clients in New Hampshire and throughout the New England area! A Tan For Every Occasion. Featuring our Go Bronze with instant bronzers. Shower in as little as 1 hour! Trust the pro's for your "winning" color! No more sticky spray tans! Bring 3 or more friends and receive $5 off per person. Everyone loves instant gratification, so our airbrush tanning solutions contain cosmetic bronzers to provide instant color. We recommend waiting 10-12 hours before your first shower to fully develop your "just off the beach" golden glow. For the client who just can't wait the usual 10-12 hours to shower. This advanced spray tan formula allows you to achieve beautiful golden color even after the cosmetic bronzer is gone. Shower in as little as one hour for a light tan, 2 hours for a medium tan and 3 hours for a darker tan. Your tan will continue to develop to the color you desire. 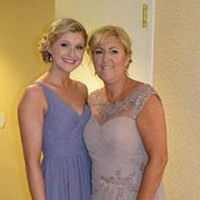 Specializing in competition spray tanning, we know the importance of your on-stage color. We have sprayed many fitness athletes for Bikini, Fitness, Figure and Bodybuilding - Amateur to Pro Status! We know what is required for your on-stage color… so leave the stress behind and let the pro's give you the "WINNING" color! If you are part of the pageant scene, you know the importance of a good spray tan. 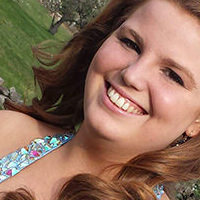 Sunless Solutions is the premier spray tanning company for beauty pageants in Southern New Hampshire. Step on that stage knowing you have got the best streak-free, healthy, sunless tan! Packages are not transferable and must be used within 6 months from the date of purchase. All of our sunless products are paraben free, gluten free, 100% vegan and cruelty free (we love animals)! We've got you covered from head to toe to help you maintain and extend your sunless glow after you leave the studio. Glow By Erin Finishing Powder is a hypoallergenic, talc and paraben free, proprietary blend of cosmetic grade powders and micas that were designed to be used in conjunction with spray tan tanning. The powder leaves you feeling completely dry, eliminating that post-spray sticky feeling and spray tan smell. It also eliminates the transfer of bronzer onto your clothing, and protects the development of your spray tan. NO MORE STICKY! If you are or think you may be pregnant or are currently breastfeeding, please consult a physician before proceeding with a spray tan. 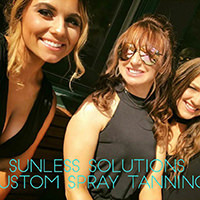 Sunless Solutions LLC requires a physician's signed consent before spray tanning services can be rendered. "Michelle and her team are true professionals. 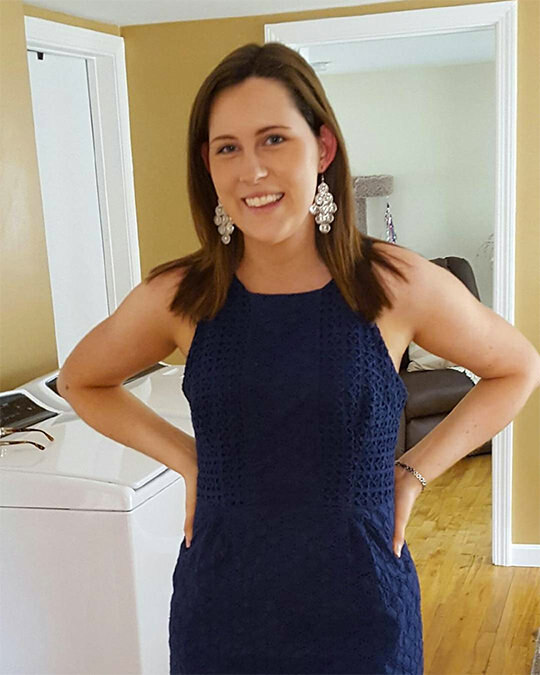 They make you feel so very comfortable and confident to get your best glow on! No need for tan lines with the Sunless Solution team! I've been asked more times than I can count, what tropical island I just returned from, after a spray session with Sunless! It's better than the real thing! As no premature aging or sun damage but the perfect kissed by the sun look that you love!! I'd never go anywhere else but them!" "I am now on day 5 (yes, FIVE!) of my spray tan and it is still going strong! I was complimented today on my glow, asking if I was recently on vacation, but nope! 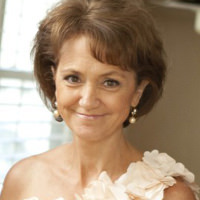 … just glimmering from my Sunless Tan :) Michelle and her team are fabulous and I have been hooked for years! 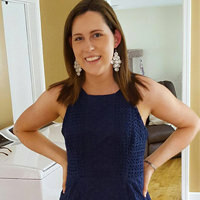 Her studio is cozy, they're incredibly personable, they make sure you're totally comfortable and you feel like a million bucks when you walk out their door!" 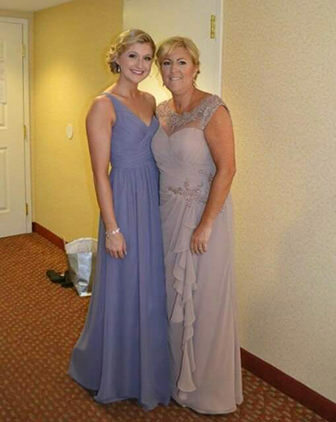 "Im addicted to my Wkly tans & love getting them done!, they are perfect & last the week. Best spray tan I'm town by far! 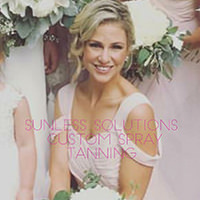 I highly recommend sunless solutions to everyone especially for a special event. They are very professional & the atmosphere is great! Their hours are very easy to get an appt & they will make it easy for you to get an appt. 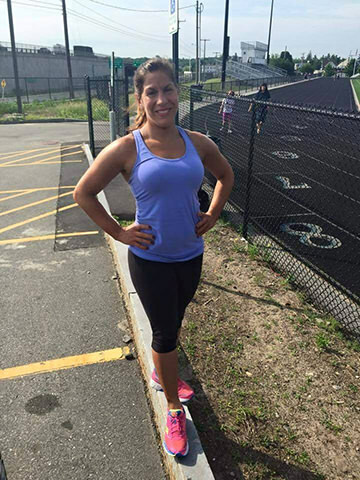 Very knowledgeable"
"Michelle is amazing and I am borderline obsessed! Love having a tan without the sun damage. Sunless Solutions is the best!" Q: How Do Self Tanners Work? A: The principle tanning agent used in all self-tanning formulas is dihydroxyacetone (DHA). This ingredient does not produce a "real tan" by increasing the skin’s melanin levels, rather it creates a tanned appearance by developing a brown color on the surface of the skin. Q: What Do I Wear For My Spray Tan Session? A: Bring a swimsuit or undergarments to tan in that are not your best. Ladies, you may wish to not have tan lines. Men, we require you wear briefs or shorts. Q: How Long Will My Tan Last? A: The "life span" of a sunless tan depends on your skin’s natural exfoliation. The faster your skin turns over, the faster the sunless tan will fade. The tan created by the DHA affects only the top layer of the skin and will begin to fade after 4 to 5 days as the skin naturally begins to exfoliate. Following a good skin care regimen before and after sunless tanning will help a sunless tan last longer. Exfoliating prior to a sunless tanning application and keeping skin moisturized afterwards are essential. Sunless tan-extending products with a light self-tanning bronzer, like Norvell® Pro-long™ tan extending lotion, help hydrate skin and maintain even, natural-looking color longer. Q: How Long Should I Wait Before I Can Shower? A: Clients will achieve the best results if they can avoid showering for 10-12 hours. When showering for the first time (only), a simple warm water rinse with water only, is best. Soap destroys DHA. Delayed bathing allows the DHA bronzer sufficient time to complete its reaction with the amino acids (proteins) within the skin. NOTE: The instant cosmetic bronzer is the color that is immediately visible during the session and it will wash off during the first shower, revealing the DHA bronze tan beneath. This is normal. Please do not think your tan is washing down the drain. Q: Will The Cosmetic Bronzer From The Spray Tan Come Off On My Clothes? A: If the spray solution has a cosmetic bronzer, some of the bronze color may rub off on clothing or bed sheets. This is most likely to happen when you get dressed immediately after tanning. To minimize the chance of the tint transferring to clothing, we recommend that you wear loose-fitting, darker clothes/flip flops after your spray session. Try to refrain from physical exertion that could result in you sweating until you shower and wash off the cosmetic bronzer. The cosmetic bronzer is water-soluble. Therefore, in most cases, the color will come out of clothing in the wash.
Q: Will The Sunless Tan Protect Against Uv Sun Rays? A: No. The skin is not protected and you will still need to apply SPF lotions or sprays when in the sun. Alpha Hydroxy Acids (AHA), citric and tartaric acids, Beta Hydroxy Acids (BHA) and salicylic acids. Products with Sodium Lauryl Sulfate or Sodium Laureth Sulfate. These ingredients are known to strip away a sunless tan quite quickly. 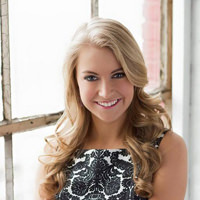 In order to assist our clients in achieving the best tanning results, clients should be aware of the before tanning guidelines prior to coming in for their appointment. Exfoliate thoroughly (but lightly) the day prior and the day of your sunless tanning session. We recommend nylon exfoliating gloves with water only. For clients with extremely dry skin, we recommend using a salt or sugar scrub; however, this must be done 24 hours before your appointment, otherwise the oils within the scrub will affect the sunless tanning results. Healthy skin always tans best! Shower and shave the night before your tanning session. NOTE: Avoid using bar soaps, high pH shower products or in-shower moisturizers the day of your tan. These products can halt the DHA reaction. Do not apply body sprays, perfumes, deodorant, makeup, or moisturizer prior to your tanning session. 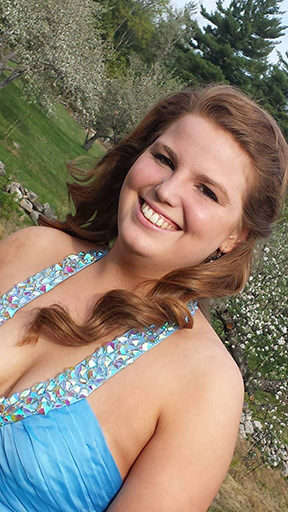 Bring a swimsuit or undergarments to tan in that are not your best. Ladies, you may wish to not have tan lines. Men, we require you wear briefs or shorts. Wear dark, loose fitting clothes and flip-flops to go home in. Manicures/pedicures and waxing must be done at least 24 hours prior to your tanning session. Aftercare is extremely important for the longevity of your sunless tan. Taking proper care of your skin will provide longer lasting results. While your tan is developing, be sure to wear dark loose-fitting clothing. Wait between 10-12 hours to shower or exercise… the longer the better. The cosmetic bronzer will wash away during your first shower, leaving you with your sunless tan. A sulfate-free, hydrating body wash is excellent as part of your maintenance program. We carry the appropriate body wash in the studio for your convenience. Note: If you have received a "rapid" tan, rinsing time and processing will be different. Your Spray Tech Professional will go over the timeframe with you. Avoid harsh scrubbing and long, hot baths, chlorinated pools or hot tubs. Pat dry after showering. 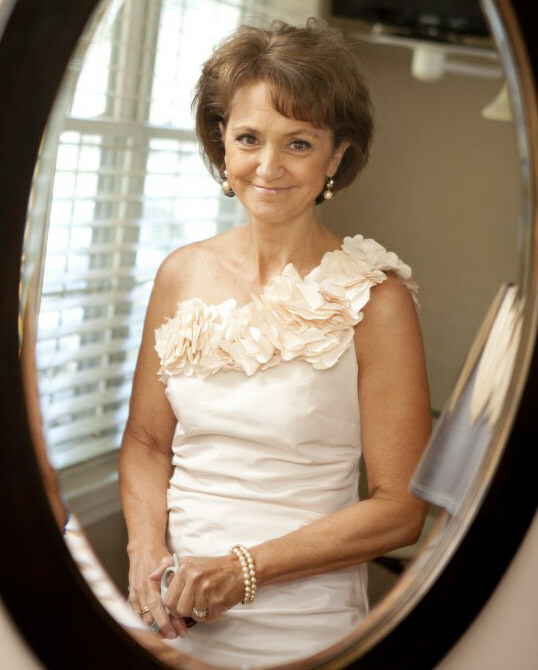 Moisturizing daily is extremely important to the longevity of your spray tan! Hydrated skin retains a spray tan longer. We recommend our sulfate-free moisturizers, as well as our extending moisturizers with a touch of DHA, the active ingredient in all sunless products, to extend your tan and assist with fade off. Our solutions do not contain SPF. Our Sunless Gift Cards are the perfect gift for any occasion! Copyright © 2019 Sunless Solutions, LLC. All Rights Reserved.